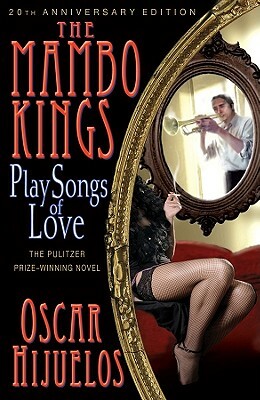 When it was first published in 1989, The Mambo Kings Play Songs of Love became an international bestselling sensation, winning rave reviews and the Pulitzer Prize for Fiction. To celebrate its 20th anniversary, the Pulitzer Prize-winning novel that changed the landscape of American literature returns with a new afterword by Oscar Hijuelos. Here is the story of the memorable Castillo brothers, from Havana to New York's Upper West Side. The lovelorn songwriter Nestor and his macho brother Cesar find success in the city's dance halls and beyond playing the rhythms that earn them their band's name, as they struggle with elusive fame and lost love in a richly sensual tale that has become a cultural touchstone and an enduring favorite. Oscar Hijuelos, the son of Cuban immigrants, was born in New York City in 1951. He is a recipient of the Rome Prize, the Pulitzer Prize, and grants from the National Endowment for the Arts and the Guggenheim Foundation. His novels--Our House in the Last World, The Fourteen Sisters of Emilio Montez O'Brien, Mr. Ives' Christmas, Empress of the Splendid Season, and A Simple Habana Melody--have been translated into twenty-five languages.